I swear I'm here and sewing! Babylock Symphony is my main sewing machine, top right. The Babylock Tiara is my quilting machine, bottom left. I had to clean things up because it was getting messy in my sewing room! I used the Briar Rose scraps to make a mini, though now I'm thinking of taking it apart to make it one long rectangle--just to be different! I'm working on a pillow for Pillow Talk Swap 10! 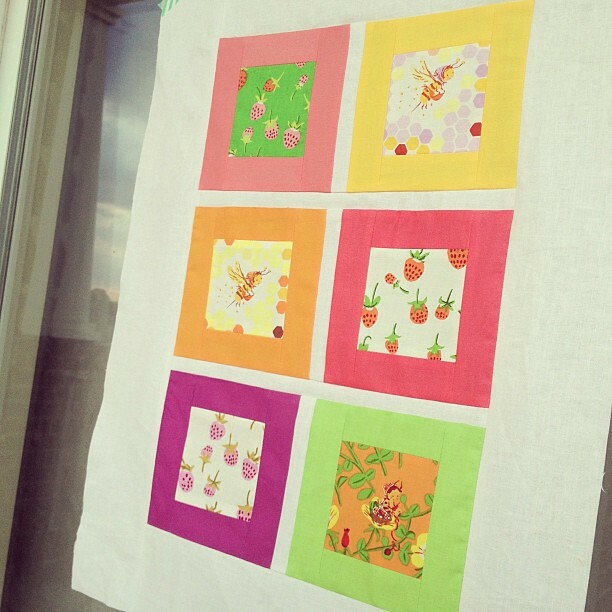 I'm also working on a Fall-hued Liberty quilt! Lots of neutrals in this one. It's not my usual rainbow fest, but I'm sort of liking it! I'm also getting ready to quilt this one! It's a custom order for Ann Kelle and it looks like candy to me! Love all the solids! I'm also working on a little review and video for my Babylock Tiara! I've had a number of questions about it and I find that video is the easiest way to answer them. 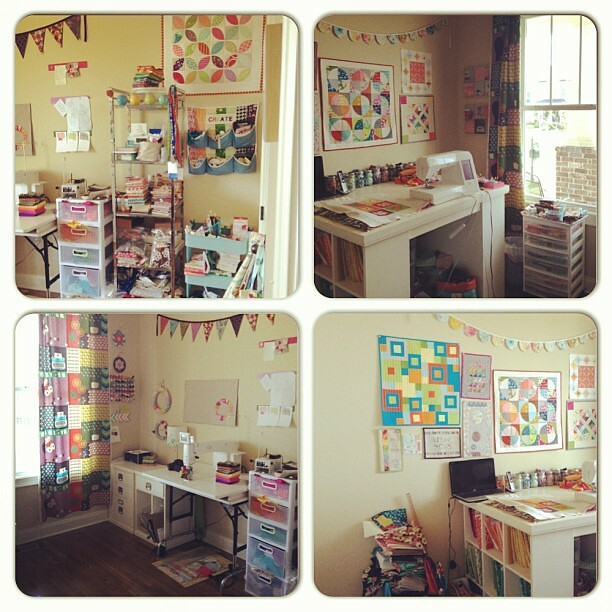 Your sewing room looks so fun. 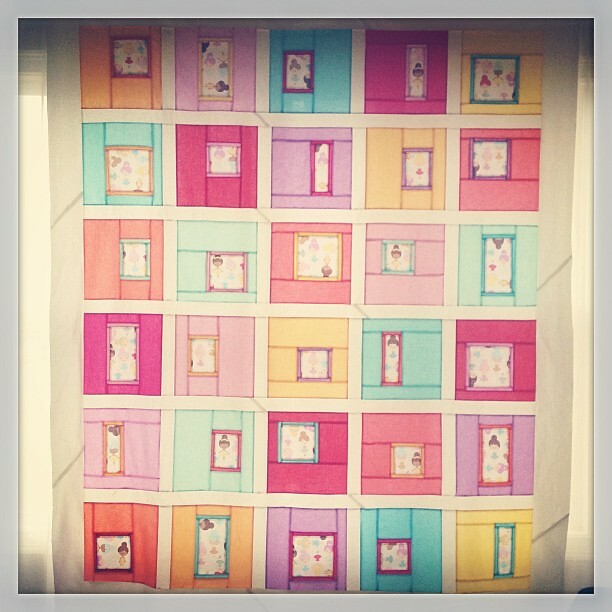 I love the orange peel design mini-quilt on the wall. 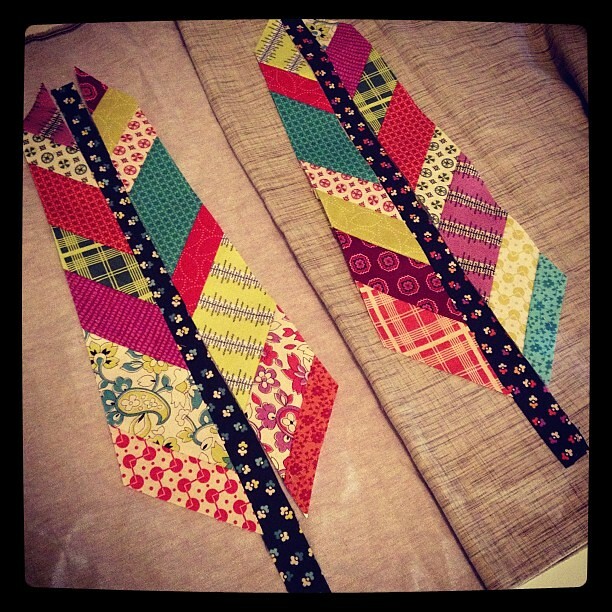 I'm planning to do a bed quilt with that kind of design and I'm wondering how yours is assembled. 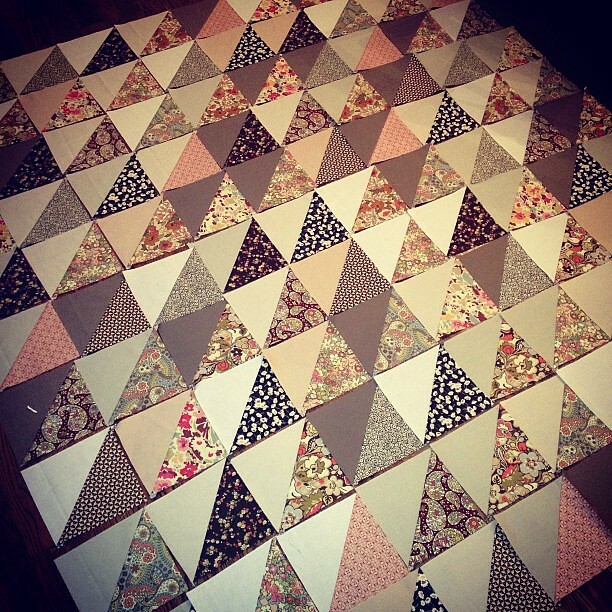 Is it pieced or appliquéd? And if appliquéd, raw edges or turned under? Thanks! I love your sewing room. What a happy place to sew! Where did you get the table that your domestic machine is on? I am moving to a new house (new sewing room) and am looking for a table similar to that style. You didn't mention the blagging! 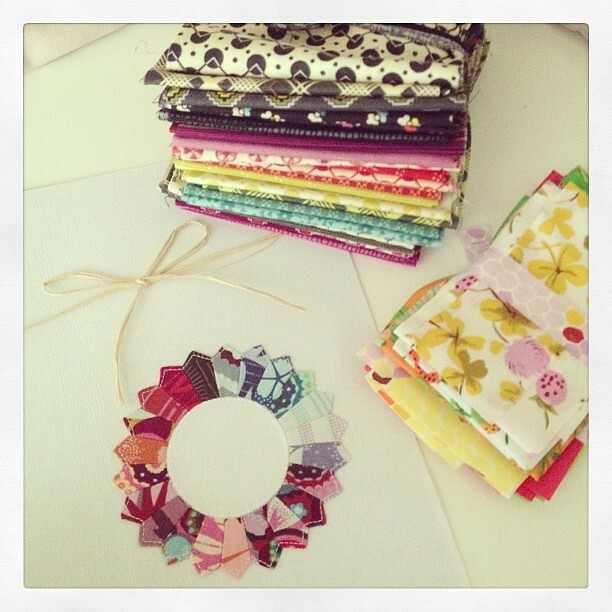 your sewing space is enchanting! You make me want to leave work and go home and clean up my studio!!! I really admire the vast array of projects that you are working on.